Replacement: None. 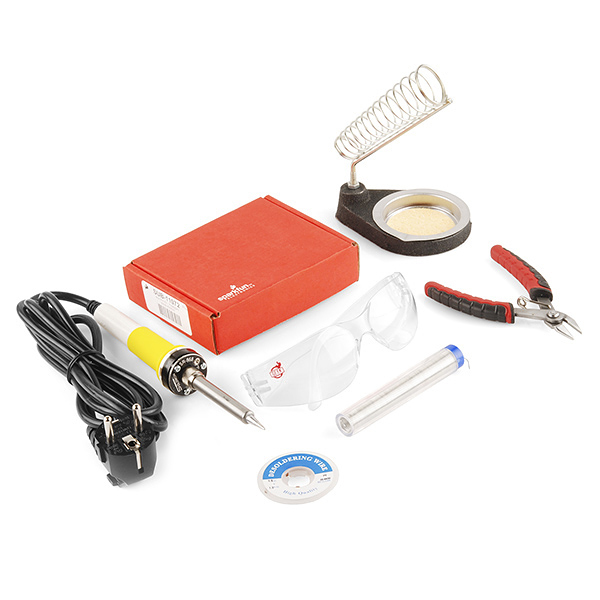 We are no longer carrying this Learn to Solder Kit in our catalog. This page is for reference only. 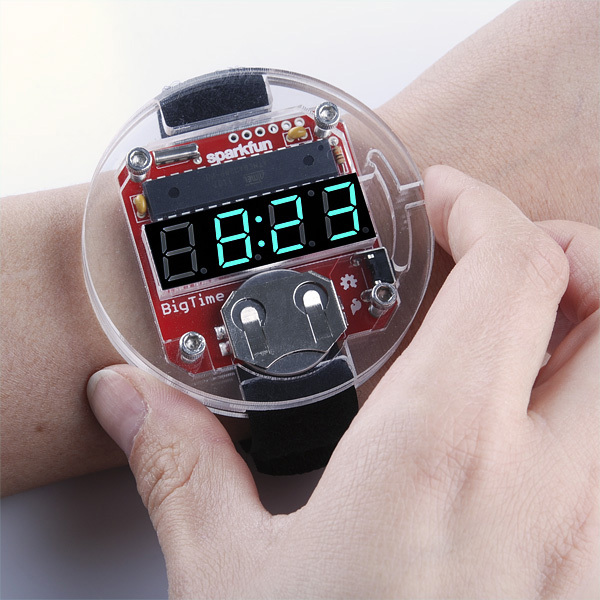 The BigTime watch kit is our geekishly stylish digital watch kit and it makes a great project for beginning solderers. If you don't have any soldering tools, though, it may be hard (read: impossible) to put together. 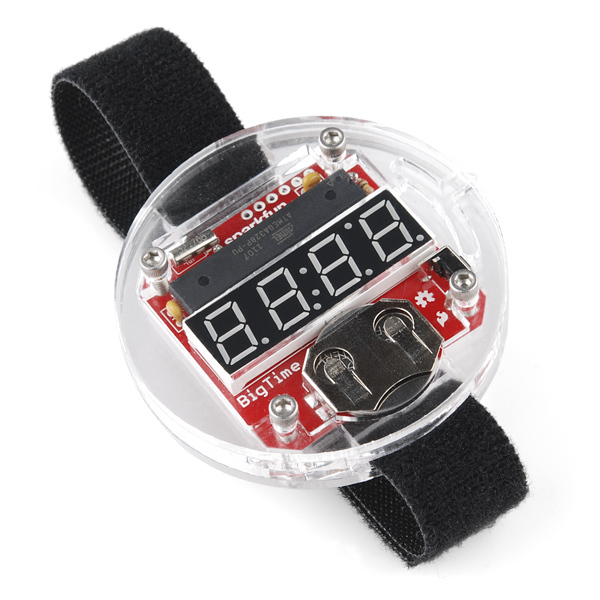 The Learn to Solder - BigTime Kit is the solution to that problem! 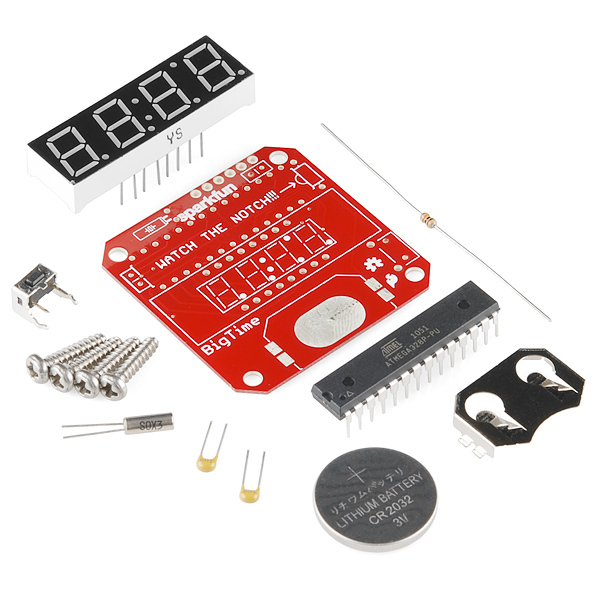 The Learn to Solder version of the BigTime Kit includes everything that the original kit does as well as the basic soldering tools you need to put it together! This is a great kit for anyone just learning to solder or teaching someone to solder. The Learn to Solder Kit even comes with our Beginning Soldering Handbook which will walk you through the basics of making a solid solder connection. 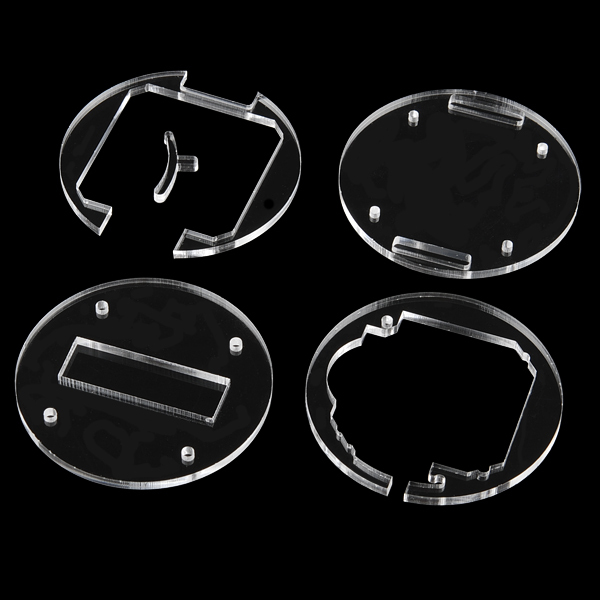 The BigTime is a through-hole kit with a low parts-count and after you've finished soldering together the PCB, simply stack the acrylic pieces around it and screw them together with the included screws. Once that's done, pop in the coin-cell battery and go show off your nerd bling! 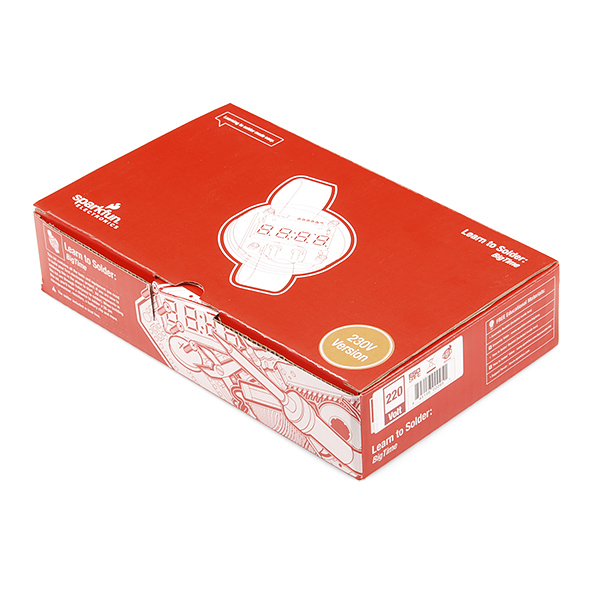 **Note: **This edition of the kit includes a 230V version of our 30W soldering iron, for our customers in the EU. If you're ordering from a country that has a 120V mains voltage, you want to grab the standard version! 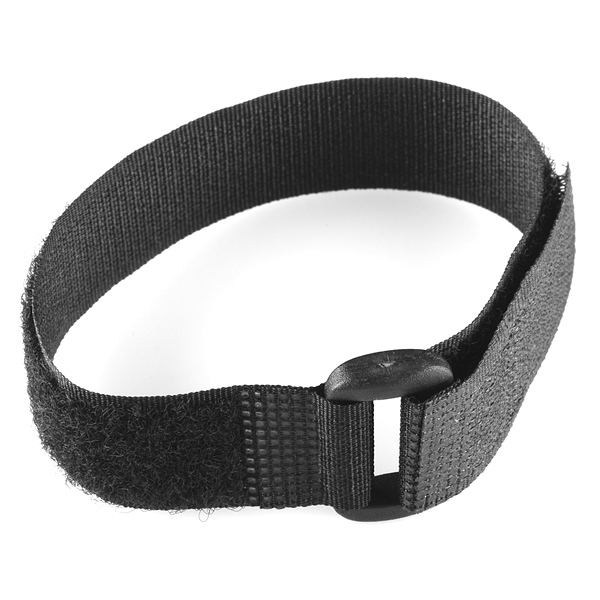 #2 Solder Wick - 5ft.